The U.S. Department of Agriculture is conducting a disturbing series of experiments on farm animals, an investigation by The New York Times has revealed. A compound of taxpayer-funded laboratories and pastures in Nebraska called the U.S. Meat Animal Research Center is testing the limits of industrial meat, using harrowing methods to re-engineer livestock that are larger and more productive, according to the report, published Sunday. That reporting shows that the center's drive to make livestock bigger, leaner, more prolific and more profitable can be punishing, creating harmful complications that require more intensive experiments to solve. The leaner pigs that the center helped develop, for example, are so low in fat that one in five females cannot reproduce; center scientists have been operating on pigs' ovaries and brains in an attempt to make the sows more fertile. Even routine care has fallen short. Of the 580,000 animals the center has housed since 1985, when its most ambitious projects got underway, at least 6,500 have starved. A single, treatable malady - mastitis, a painful infection of the udder - has killed more than 625. The investigation included interviews with former employees as well as information gleaned from documents obtained under the Freedom of Information Act. Among the recorded incidents were experiments that involved observing gruesome deaths of the young lambs birthed by a new breed of "easy-care" domesticated sheep that can survive without shelter. 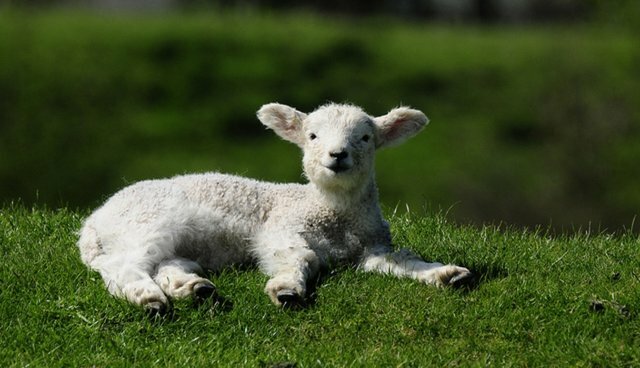 The lambs are born in the wild and often left to die of starvation or of the cold. Read the entire investigation over at The New York Times.